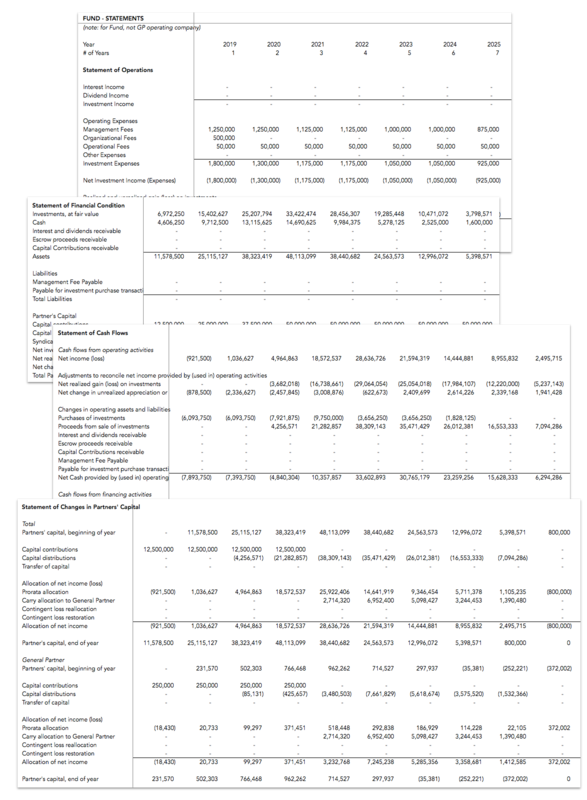 Financial model template to forecast investments, proceeds, cash flows, and performance metrics for a venture investment strategy up to a twenty year period. 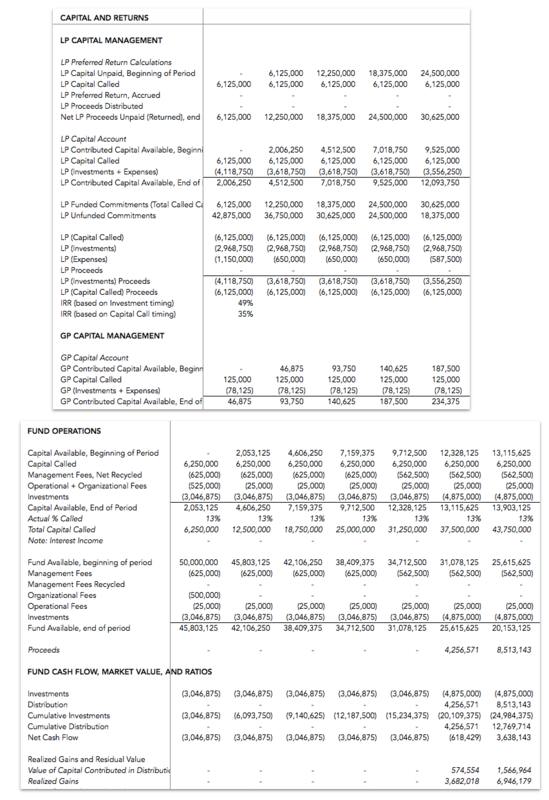 Prebuilt fund financial statements, LP and GP economics, IRRs, multiples, and other key metrics. Used by venture capitalists, accelerators, and angel investors. Unlocked - use in Excel or Google Sheets, edit anything - last updated in May 2018. 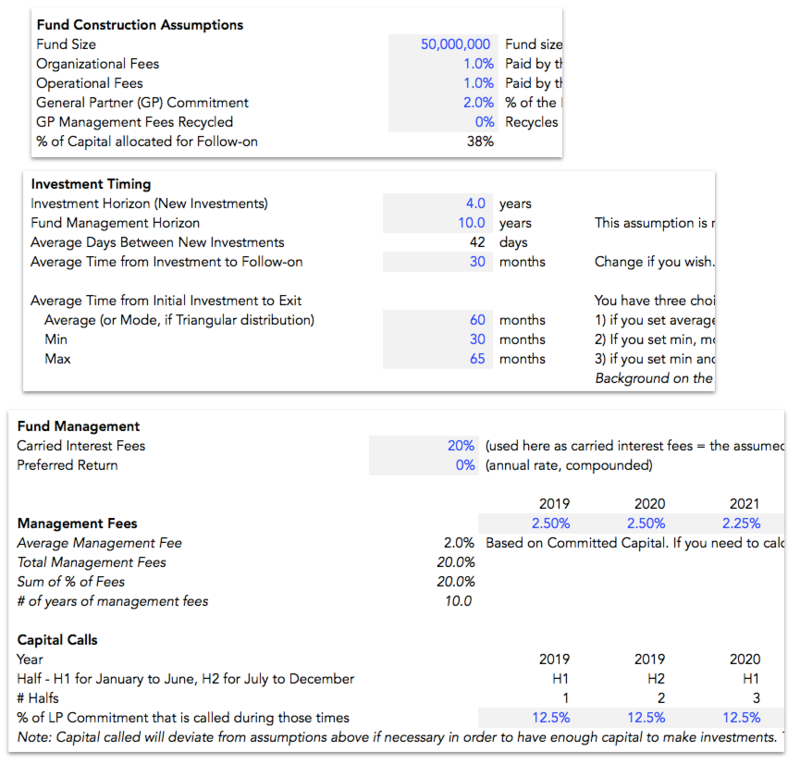 Financial model used by over 306 venture capitalists, accelerators, and angel investors worldwide to forecast the investments, proceeds, and returns for funds. 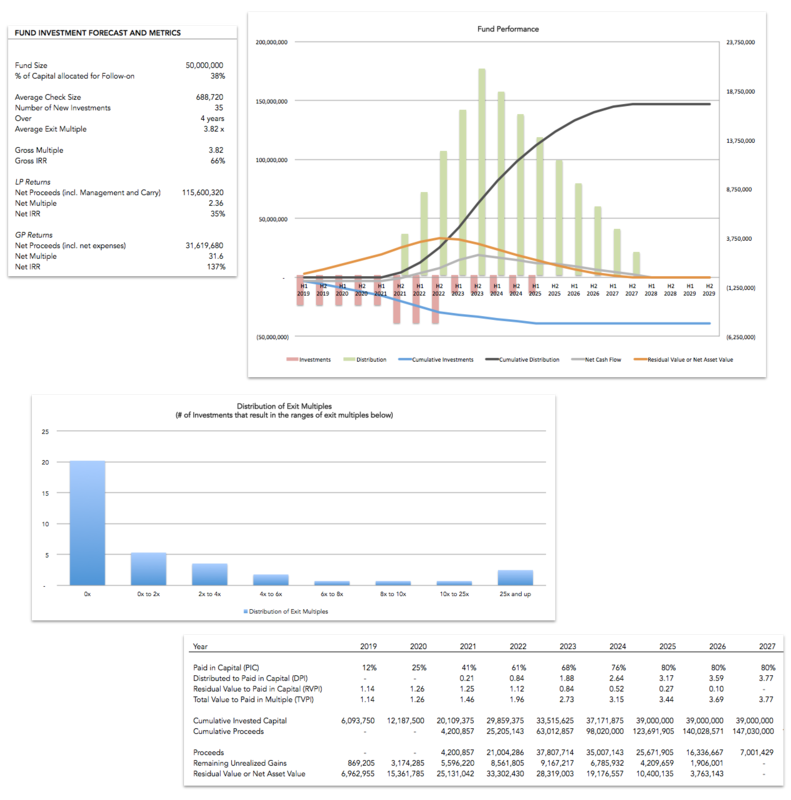 Financial model template to forecast investments and proceeds for a portfolio of venture investments, using assumptions for fund size, average check size, follow-ons, timing from investments to exits, and more. Summarizes key economics for LPs and GPs. Calculates key performance metrics over the fund’s lifetime, including IRR, ROI, gross and net multiples, Residual Value, Paid In Capital (PIC), Distributed to Paid in Capital (DPI), Residual Value to Paid in Capital (RVPI), and Total Value to Paid in Capital (TVPI). Made for investors — venture funds, angels, incubators, accelerators — that need to create a forecast for a portfolio of venture investments. Portfolio: Appears that v2.42 introduced an error in using the triangular distribution for the distribution of proceeds. The fix is to edit G30 and simplify that calc so that it doesn’t look back to the Operating Forecast sheet for the timing, so that it doesn’t have to reference the timing that the distribution is creating. Portfolio: A little improvement on the timing flags for the distribution of proceeds, added a couple MIN and MAX so that the timings calculated for the start and end of proceeds will automatically adjust if you set timings that exceed the investment horizon and are less than the follow-on period. I build standards-based, rock solid financial models to solve real business problems. Here’s what’s inside the Venture Investor Model. The model is flexible enough to use for any investment strategy (early- and/or late-stage) and any fund size. Market benchmark data is built into the model, and you can customize the model to fit your own expectations of your portfolio strategy. Assumptions include fund size, average check size (flexible for multiple investment strategies within a portfolio), GP commit, carry, preferred return, capital call schedule, management fees, management fee recycling, organizational expenses, fund management expenses, and many more. Define up to 4 different “areas” to create a portfolio allocation between different industries - e.g. tech, retail - or countries - e.g. USA, UK, France - or stages - e.g. Seed, A, B, C - and allows you to set a portfolio allocation, average initial check size, and follow on allocation separately by each area. The dashboard sheet provides an overview of the fund performance, which is valuable as a first look at the fund’s performanace, and also contains an important input that creates the overall gross multiple used to forecast the total proceeds of the fund’s investments. This curve is a valuable way to communicate a fund’s investment strategy, and you will want to adjust this curve to communicate the strategy you are pursuing *and* set the overall gross exit multiple for the fund. In addition to cash flow, gross and net multiples, and IRR, the model also calculates a number of standard fund metrics - Paid In Capital, Distributed to Paid in Capital, Residual Value to Paid in Capital, and Total Value to Paid In Capital- to help gauge the fund’s performance. The Performance tab creates a standard fund chart that shows investments, proceeds, net cash flow, cumulative investments, cumulative proceeds, and residual value over the fund’s lifetime. Core calculations of the model, forecasting the entire flow from capital calls to investments through the full waterfall from proceeds to hurdle calculations (optional) to carry. After the fund’s investments and proceeds are estimated, the model breaks down the cash flows for the limited partners (LPs) and general partners (GPs). The model doesn’t distinguish between or calculate specific returns for invidual LPs or GPs, but that can be done easily by adding lines at the end of the model using your own breakdown of fund ownership by LP and GP. The model forecasts the income statement, statement of financial condition, statement of cash flows, and statements of partner’s capital, in order to provide the full financial outlook for the fund. In addition, there is a statement of operations (income statement) generated for the management company. 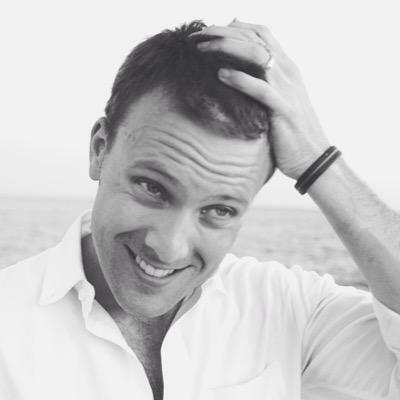 We’ll do a 15 minute screenshare or call to talk about your needs and walk you through the Venture Investor Model (or others) to help figure out the right solution for you.